All our professionals at Anchorage Midtown Dental Center maintain the highest levels of accreditation and pursue ongoing education to stay abreast of the latest trends in dentistry. Dr. Guy Burk grew up in Anchorage, Alaska before attending Oregon State University and Oregon Health Sciences University. He enjoys diving, board sports, flying, travel, and meeting new people. He purchased Anchorage Midtown Dental Center from his Dad, Dr. Don Burk, in May of 2010 and has worked hard to continue the family legacy of delivering excellent quality care to the good people of Alaska at reasonable prices. His interests are in Surgery and Dental Implants. Dr. Vivian Burk grew up in Anchorage before attending Oregon State University and Oregon Health and Science University. She has recently graduated and moved back to Alaska to join the family practice. She has a new black lab puppy, “Missy” and enjoys music and people. Vivian’s interests are in pediatric and cosmetic dentistry. Dr. Jessica Burk grew up in Tualatin, Oregon before attending the University of Oregon and Oregon Health and Science University. She enjoys snowboarding, skate skiing, softball, running and spending time with her goldendoodle, Chewy. Her interests are cosmetic dentistry and family dentistry. 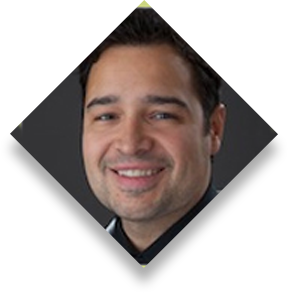 Dr. Blair J. Tudor grew up in Grants Pass, Oregon and attended Oregon State University and Oregon Health Sciences University. He enjoys downhill skiing, wakeboarding, fishing, travel, and a variety of outdoor activities. His interests are treating highly dental phobic patients, dental surgery and emergency dentistry. Dr. Andrea Schiller grew up in South Bend, Washington and attended Western Washington University followed by the University of Washington School of Dentistry. She enjoys traveling, entertainment, yoga, and perfecting her baking recipes. Her interests include restorative and emergency dentistry. “Dr.” Chewy Dog grew up in Anchorage, Alaska and attended the State University of Barking Poodle. He enjoys laying in his mom and dad’s lap, eating kibbles, sleeping on desks and playing with his dog friends. He is afraid of bears and would like to one day adopt a cat. Our Anchorage family dental clinic is committed to providing every member of your family with premium dentistry services. Schedule your appointment today! Call Us At: (907) 562-6456 OR Book Online!